Testimonials | Michelle Fellin<br>RE/MAX Preferred Properties, Inc. I have had her list several houses for me through the years . She is very knowledgeable of the Seymour market. Never had any problems selling my houses. Sold a Single Family home in 2017 in Seymour, TN. This buying experience could not have been any easier. Michelle is a dedicated, caring, advocate for her clients. She takes the time to truly know her clients needs and wants. Michelle makes herself very available and works around the clients schedule. I highly recommend giving her a call for your buying / selling needs. This was the most amazing experience. Michelle made things simple and was very knowledgeable. Michelle also worked hard in locating several houses and was there day or night to answer all of our questions. Thank you so much for helping us find the perfect home. Michelle made the house buying so easy and pleasant! Not only did she help us sell our house, but she also helped us find our dream home! Thanks so much Michelle, we couldn’t have done it without you!!!! Michelle was very helpful with the purchase of a lot. She was always prompt and timely with meetings, paperwork and closing. She kept me informed of the status of the perk test and closing. She always returned my calls and texts. I would highly recommend her to anyone. I have been taking care of selling a house and a building lot for my elderly mother. We are both out of state , and Michelle has been invaluable in the process. She handled many of the details for me and communicated frequently with updates about both properties. Michelle is very knowledgeable, precise and listed our home quickly. I definitely recommend her to take care of all your real estate needs. Sold our house in less then two weeks! Michelle was recommended to me by someone who has used here several times. (Repeat Customer) Michelle responded very fast and has an excellent knowledge of the area. She accurately described our property to potential buyers, advised us how to stage the house, and helped us with local contractors. Contract on property within 3 weeks. Michelle had a drone take aerial pictures of our property. Michelle has been a great to work with. I would highly recommend Michelle and the REMAX Team. Michelle was a tremendous help in our transition from Florida to TN. She was most accommodating not only in showing us homes but with the whole process. She kept us informed through out and always handled our questions and concerns. If you were to look up the word professional in the dictionary Michelle’s picture would be next to it. We would highly recommend her to anyone searching for or selling a home. Professional, and knowledgeable, knows the area. Quick sale, seamless closing. Very responsive, had the listing immediately up, including good number of pictures. We would recommend Michelle in a heartbeat. She was very thorough and kept us updated all along the way. We worked via email for 2 years with Michelle before we moved down. She was ready for us when we got here. We were under contract in less than 2 weeks of moving here. We told Michelle that we were having trouble selling our land. She stated that she would look at it and give us some idea’s, which she did and we ha d discover that the 5 real estate agent weren’t putting us in the market. She put us out there and we sold it with in week’s it’s been on the market since 2008.She didn’t push or worry about her commission ,she just went out SOLD it for us. 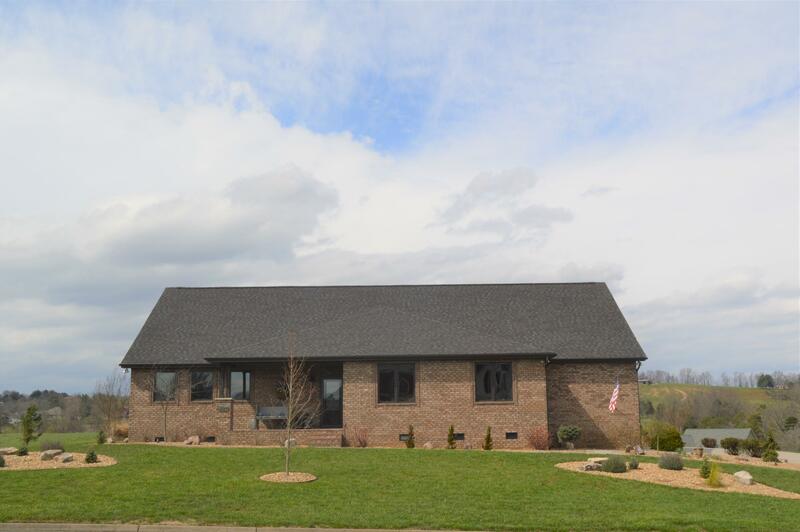 Sold a Single Family home in 2014 in Seymour, TN. Michelle performed at an extremely high level and always showed confidence in her ability. She was very active in the showing of our home and we never felt neglected by her. She is very professional. My wife and I had the pleasure of having Mrs. Fellin as a realtor while recently purchasing our home in Seymour, Tn. She was very professional and helped with any, and all our questions and concerns during the home purchasing process. Mrs. Felin even was able to help us close on our new home in under one month which was very beneficial to us, and the person selling the home. Overall we would have no problem highly recommending her as a realtor to anyone in the area. Where do I start? Michelle is more than all the stars I can give her! She is not only a great woman. She is a great mother to two great young adults, friend and at one time a great neighbor! When I became a single Mom, she sold me my first home I bought on my own!!!! Then we had a life change and she was there for my husband and I. We closed up the house and moved to Florida. After a year the house still hadn’t sold. Made a call and there she was again! 6 months later we got our asking price!! We love Michelle!!! We worked with Michelle to buy our first home last year. I was apprehensive, since we knew next to nothing about the home buying process and had never worked with a realtor before. Michelle worked very hard to find a home that met our criteria and was within our budget. She patiently walked us through all the paperwork, mortgage application, and so forth, so that we understood everything we were agreeing to. We have been in our home for just shy of a year now and are so happy with it. I am very thankful we had the opportunity to work with Michelle, and we definitely recommend her as a professional realtor! I signed with Michelle to sell my house in Cherokee Hills (Seymour) after it had been with another realtor for over a year. She had more showings in the short time (4 months) than the previous realtor had. She kept me informed every step of the way and was always willing to listen to my concerns. She was very good at keeping interest going in the house and gave me excellent advice when offers came in. Her warm personality and keen professionalism made the whole process far less frustrating than I had previously experienced. I was so impressed with Michelle that I recommended her to my daughter…and Michell did not disappoint her! If I can persuade my new husband to move to Knoxeille/Seymour…I’m calling Michelle! Wonderful lady! My husband and I were trying to sell a vacant home that if it could go wrong it would! Had a break-in, hail damaged roof, and other minor improvements that were needed. Even through all that she was still able to get the home shown, offers made, and then SOLD!! She very quickly gave us updates and let us know what potential buyers were saying! Calls and emails were very quickly replied to and every question answered with a smile. She was recommended to us by my Mom and we had just as wonderful an experience as she did! If you are looking for a patient, understanding, and above all caring professional look no more..here she is! We absolutely LOVED having Michelle as our agent !! !…We came to the table with many requests, and changed those requests often. She was very patient, kind and helpfull, and after a few months,found us our ” Forever” home !!! We are just now settling in and making it ours ! !…If you truly want a professional, who will look for what you want and within your budget, then Michelle is your agent !!! Thanks again Michelle !!!! My husband and I met Michelle by chance in 2006 at an open house. Since then Michele has expertly guided us through the selling of four homes and buying two! Her knowledge of the market, skills at assessing value and valuable experience are second to none. We have enjoyed working with a highly professional, courteous, punctual, dependable real estate professional such as Michelle and plan to continue to do so for years to come. We recently moved here from new jersey and were in search of realtor, we contacted Michelle from remax who help find our dream home. Being from another state we were unfamilar with the area and Michelle provided us with her knowledge of the area and help us find our the home in a great neighborhood. Thanks again Michelle !! Michelle is amazing!! I would never trust anyone else! She will do everything in her power to get you the perfect home and to make sure it’s an easy process! Michelle made the process easy and was very easy to get ahold of when we needed her. I would certainly use Michelle again when we decide to buy our next investment property. Michelle had worked with me for over two years looking for a home, and she has always been beyond helpful in every step along the way. She has always been extremely informative and knowledgeable with the process of buying a home. She has gone above and beyond with providing support and time into helping me find the right home. I couldn’t have asked of anything more from her, and working with her has been a great pleasure. Couldn’t have asked for a better experience. She went above and beyond to help us sell our place and find a new home! Buying and/or selling a home can be very intimidating/stressful and she did a great job of explaining and helping my wife and I understand the process. Thanks again, Michelle! Look no further!!! Michelle is everything you could possible look for in a realtor. This was my first home purchase and because of her hard work and dedication it went great (even with all the surprises and obstacles that come with buying a house). She treated the process as if she was buying the house for herself. There was never any doubt that she always had my best interests in mind. She was always available and on top of everything that needed to be done. I’m extremely happy with every aspect of her work and wouldn’t hesitate working with her again. I strongly recommend anyone to use Michelle Fellin for whatever services you need. Thank you! Michelle has been phenomenal in our home buying process. As a first time home buyer, she helped make this process possible. We couldn’t have done it without her. Very professional and outstanding at her job. Anyone looking for a realtor would be crazy to not use her as your agent. Michelle helped make our dream of moving from Louisiana to Tennessee a wonderful experience. She is very knowlegable of the area we wanted to be in, answered all questions quickly, always there when we needed her & always had our best interest at heart. We are so fortunate to have had her as our agent, we would recommend her over & over again! Nothing but 5 stars all the way!!! Thank You Michelle! Michelle was extremely helpful and knowledgeable. She was able to help us with all our questions accurately and in a timely manner. I would highly recommend her to anyone! She’s so nice and personable , you can tell she loves her job! She was always available and gave us great advice whenever we spoke. She showed houses she thought fit our desire and price range. She guided us during the offering process and helped us step by step through the process! Never felt lost with her helping us! Michelle did a great job helping me find a home in the Knoxville area. She is very professional and has a very good understanding of the local area. She took the time to really understand my needs and then provided me an outstanding selection of homes to view. Given my short timeframe to find a home, I was especially impressed with her sense of urgency to find the perfect place for me. I did find that home and closed on it last week. Michelle was there with me every step of the way and far exceeded my expectations. I would strongly recommend her as your next real estate agent. Michelle Fellin was fantastic and made our proccess as simple as buying a home can be. Michelle found us our dream home and did not stop working untill we got exacty what we wanted. She is someone who takes professionalism and communication seriously. As first time home buyers, my wife and I had a great deal of questions. Michelle utilized her expert knowledge to educate us about each step of the home buying process. We both highly reccomend Michelle Fellin to anyone who is thinking about buying a home! Michelle Fellin is an exceptional realtor. She works hard to satisfy both the seller and the buyer. She coordinates her time to meet the schedules of seller and buyer. She has useful information at her fingertips. She is ethical, thoughtful, and a master of negotiation. Simply, she could not have done a better job. She was very helpful and sold the property very quickly. We were very pleased with her skills in showing and selling our property. She worked very hard to keep all of the parties informed as to what was happening on the transaction. Michelle was so great! She was ALWAYS there when we had a question and immediately returned our phone calls. She was fun to work with, as well! She was quick, knowledgeable and professional. Every single step of the process went thru without a hitch! We loved her! You cannot go wrong with Michelle! Michelle consistently left me with no doubt that I was in good hands. She was very honest throughout the process about each property we viewed and highlighted the positives and negatives of each. I never felt like she was just trying to sell me a house. She had our best interest in mind. Mrs. Fellin worked diligently with me and my husband to find the right house for us. She would call immediately if a home became available that she thought we would like. She worked well around our schedules to show houses. She worked with us for a months until we found the best home for us. I wouldn’t use anyone else! I had a wonderful home buying experience with Michelle as my agent. It was my first time buying a home. I told her what kind of home I wanted, my price range, and the area I wanted to live in. She went right to work within the given parameters. I had my new home in a very short time. Michelle helped me negotiate and when the first negotiation fell through, she continued to work on my behalf to find another suitable home. She worked well with a difficult loan officer. At the closing she saved some money for me. She noticed an unnecessary charge and brought it to my attention. As a first time home buyer I would have never known the difference. I love my new home and feel that I was well represented in the purchasing process. Michelle is a great agent and I will definitely call her again if I am buying or selling real estate. I highly recommend Michelle Fellin! My husband and I were young newlywed first time home buyers and also new to Knoxville and the state of Tennessee when we bought our first home. Michelle took us under her wing and helped us along the way. I can’t say enough good things about her. She is very knowledgeable in all areas of Knoxville, Seymour, and Powell. Michelle truly made the experience of buying our first home very enjoyable. We love our new home and neighborhood! Thanks again Michelle!! One of the best, if not the best agent in East TN! I was very picky and had to be nerve racking for any agent to dell with, but Michelle was always super sweet and willing to go out of her way to help me. I looked at several home and Michelle was always willing to make time to show me a home. She did this at the expense of not only her personal time, but at the expense of her family time. She knew the value of finding the perfect home for her buyer and knew the importance of customer satisfaction. I found the perfect place and couldn’t be happier! Thank you again Michelle for your hard work and dedication!